Home Training AM vs. PM Which is The Best Time To Work Out? AM vs. PM which is the best time to work out? : Every fitness lover wishes to work out regularly and stay in shape. Today many offices have created fitness centers and gym facilities for all the working professionals so that they can stay fit and healthy. But people are not sure whether it is best to visit the gym in the morning or in the evening? Some experts feel that morning workout is best while some feel that evening is the best time to exercise. Let us discuss the advantages of both and then you decide which is more beneficial for you. 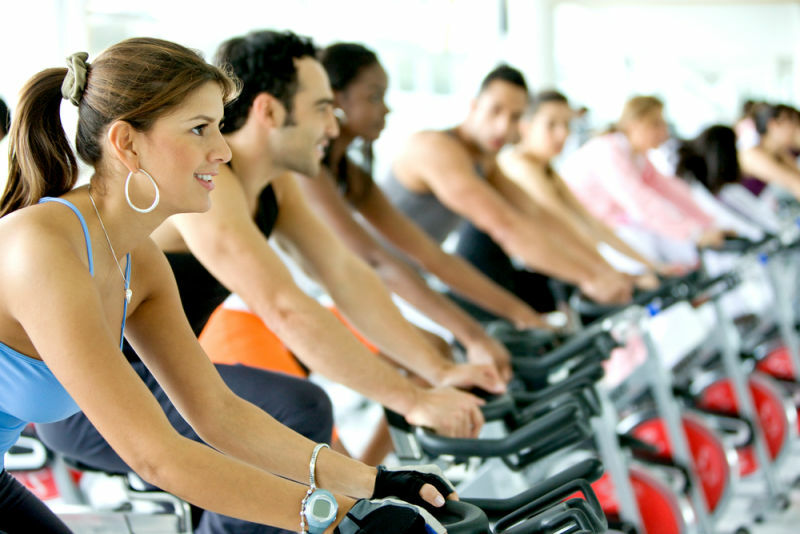 Many people feel comfortable to dedicate few hours at the gym in the morning. This helps them to balance their personal life in particular. They can spend their evening time with their family and friends. Compared to morning hours, the crowd is significantly greater in the evenings. Morning hours are less crowded in the fitness center, and it can help you to utilize all the equipments and space without having to wait for someone to finish. You can quickly hit the gym in your track pants straight away. You don’t need to get dressed while you get out out of the bed. But after work, you need to change your work attire, freshen up, probably take a shower and then hit the gym. Morning workouts can help you stay healthy throughout the day because you drink plenty of water and start your diet feeling fresh and positive after a workout. Morning workouts build your appetite, and you never tend to miss your breakfast. If you need to visit the gym in the morning, you have to go to bed early. This helps you to hit the bed early and that certainly does your body a lot of good. The earlier you sleep, the more sleep you get. Since your energy is not drained in the morning, you can be active throughout the day. Morning workouts may not result in a positive outcome if you have just started working out or if you have a history of injuries. Stress hormone Cortisol is relieved when you workout in the evening after a long stressful day at work. You can find a suitable gym buddy in the evening. Most people prefer to have someone to tag along to the gym. If you can find a good partner, you both can motivate and push yourselves to stay consistent with your workouts. There may be some fitness classes such as meditation, yoga, martial arts and dance that may not be available in morning hours. They are conducted mostly only in the evening because that is when majority of the crowd is available. Evening workouts facilitate vasodilation, where more blood is supplied to the tissues. It allows excess heat to be completely removed from the body. This helps in better supply of oxygen and nutrients to the muscles that helps to develop alertness and increases energy. How Many Calories Are There in Palak & Does It Have Any Health Benefits?